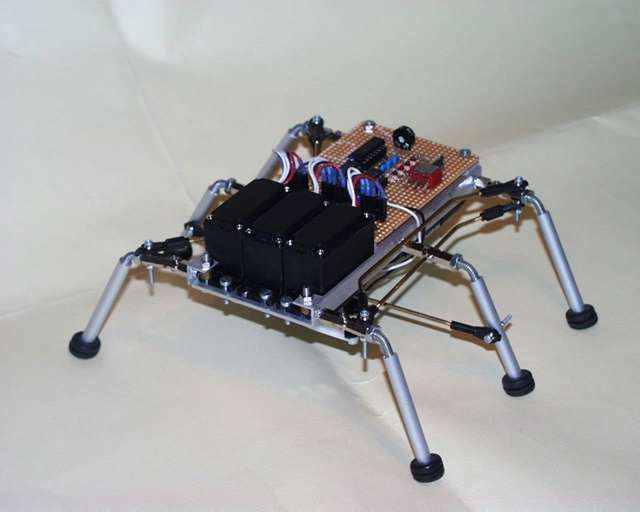 Minihex2 is a small robot with six legs. It is build with very simple, easy to get electronics and uses 3 servos. Just three ICs and a handfull of resistors and capacitors. It can turn on the spot or even go reverse, so it can avoid obstacles. It is my second hexapod, the first one is much bigger and computerised. More info can be found on my weside. There is also a lot of information of the other bots i have build.